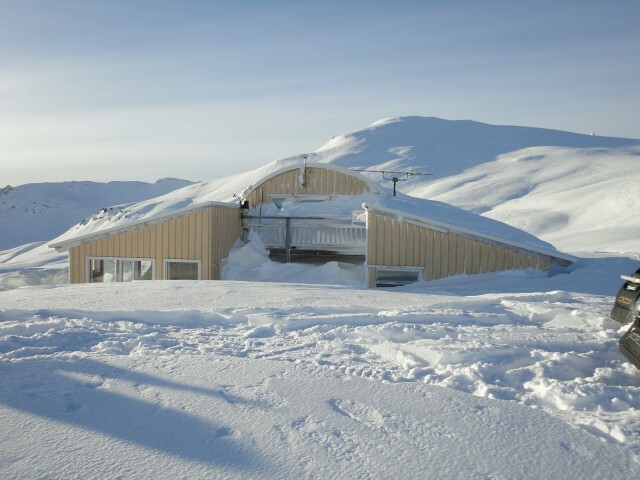 Glacier Jeeps emailed me this photo taken on Feb 9th 2013 which shows the large quantities their building of snow gets! Some of our gear is buried! This entry was posted in News and tagged reference station by Kirk. Bookmark the permalink.